Kirkersville Cub Scout Pack # 100 is chartered by the Kirkersvile United Methodist Church and is registered in the Licking District of the Simon Kenton Council of The Boy Scouts of America. The purpose of the Cub Scouts is to promote the ability of youth to do things for themselves and others, and to teach young men patriotism, courage, self-reliance, and kindred virtues. In achieving this purpose, emphasis is placed upon the Boy Scouts of America's educational program and its oaths, promises and codes for character development, citizenship training, and mental and physical fitness. Everything we do in scouting is done with a purpose in mind and supports the 10 Purposes of Cub Scouts we strive to teach: Character Development, Spiritual Growth, Good Citizenship, Sportsmanship & Fitness, Family Understanding, Respectful Relationships, Personal Achievement, Friendly Service, Fun & Adventure, and Preparation for Boy Scouts. Your son will have lots of fun learning new things and making new friends. 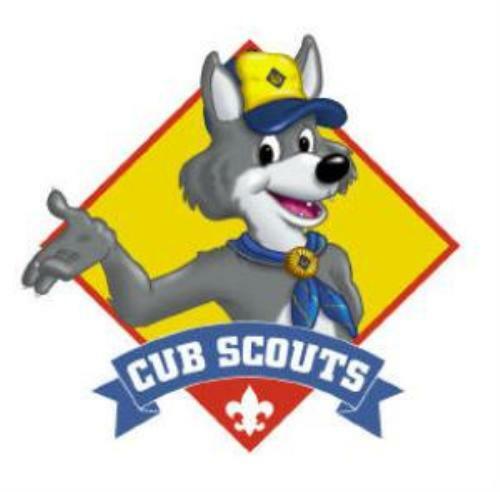 Cub Scouts have ceremonies, earn awards, play sports, games and make handcrafted projects! · And, YES, he will have a lot of fun too!